Latest News: 56301 to Peak Forest, More 56s to Longport? 56301 passes Toton on 9th October 2018, working the 0M56 1615 Leicester LIP – Peak Forest Cemex Sidings. Thanks to Anonymous for the image. 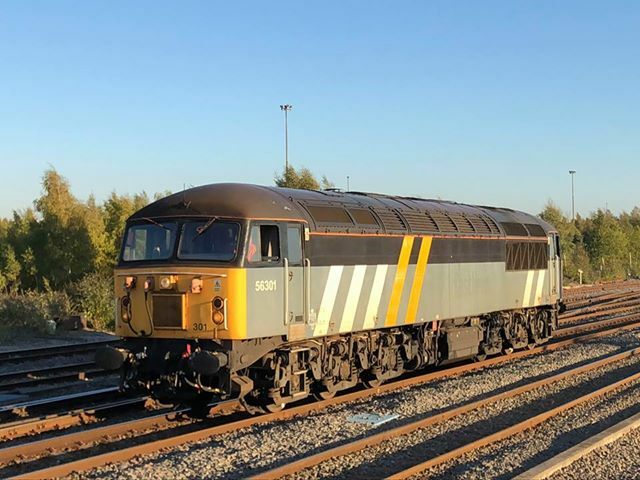 56301 heads north – 56301 made its way from Leicester to Peak Forest yesterday afternoon, in readiness for a spell on the Peak Forest shunting duty. This will involve the loco loading aggregate trains in the Dove Holes quarry and then drawing them into the exchange sidings, or propelling them back into the adjacent holding sidings. The loco should be on site for at least two months. 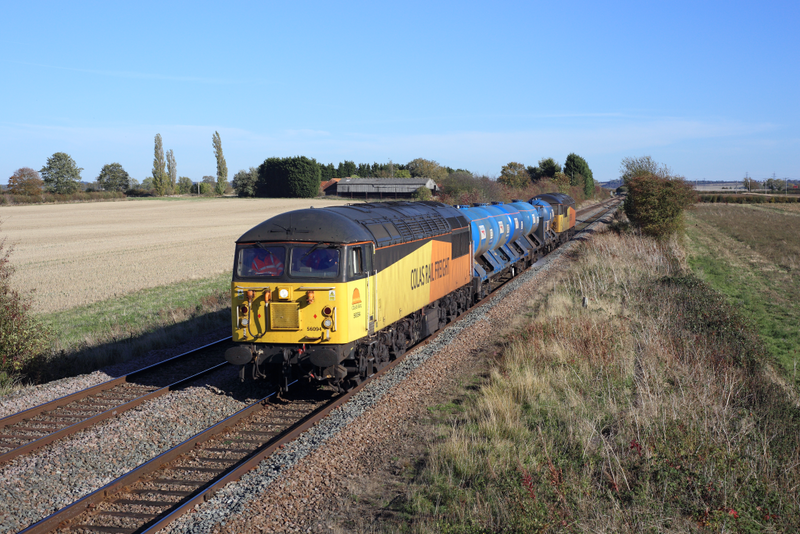 56094 passes Muston (near Bottesford) on 9th October 2018, working the 3J89 0500 Stapleford & Sandiacre – Toton TMD Rail Head Treatment Train. 56090 was bringing up the rear. Although utilising Colas traction and drivers, this particular diagram is actually a DB Cargo working, with the motive power and crews merely hired in. Photo copyright: Ben Wheeler.